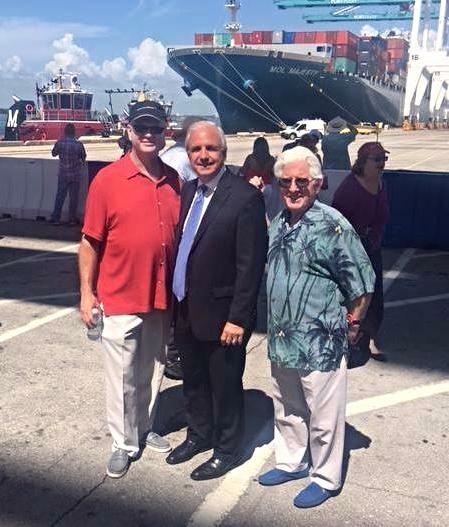 The first mega-ship to pass through expanded Panama Canal arrived at PortMiami on Saturday where public and private leaders including Miami-Dade Mayor Carlos Gimenez, Greater Miami Convention & Visitors Bureau President & CEO William D. Talbert III and Beacon Council President & CEO Larry K. Williams, celebrated the new era at PortMiami. Before it dredged its shipping channel to a depth of 50 to 52 feet, the port was too shallow to handle the Neopanamax vessels that are now expected to transit Panama’s new locks with regularity. Leaders at Innova Eco Building System have always been visionaries in the creation of green building products. Their work on developing Structural Insulated Panels (SIP) has taken a technology that has been around since the 1950s and made it applicable to today’s light commercial and residential construction projects. Today, SIP panels come in many formats, from containing plywood and concrete to cork and fiberglass. In fact, Innova’s SIP panels were used for the floor, wall and roof systems at the Miami Seaquarium’s Pengiun exhibit. The company recently expanded making a capital investment of more than $5 million, said CEO Jerry Gillman. 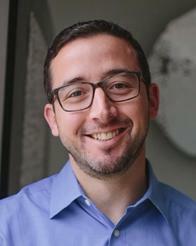 He sees a modest expansion in the number of new jobs and expects approximately $75,000 in additional capital investment per year for the next three years as new innovative green building products are introduced into the construction market. 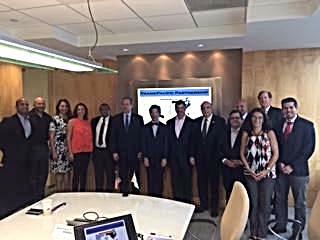 International Committee Chair, Andrew (Josh) Markus and Consul General Ken Okaniwa surrounded by committee members, including Enterprise Florida’s Ilona Vega, Spanish Trade Commisssioner, Inmaculada Gutierrez, Miami-Dade County’s ITC Director, Many Gonzalez and US-Japan Association Director, Dave Woodward. The International Advisory Committee, chaired by Andrew (Josh) Markus, Shareholder at Carlton Fields Law Firm, welcomed the Honorable Ken Okaniwa, Consul General of Japan in Miami as guest speaker on the Trans-Pacific Partnership Treaty (TPP), signed by the U.S. , Japan and 10 other countries including Canada and Mexico In Auckland, New Zealand on February 4, 2016. Consul General Okaniwa who has extensive experience in multilateral negotiations, having been Director of Climate Change when Japan ratified the Kyoto Protocol in 2012, explained that the main objective of TPP is to promote trade and strengthen the relationships between the 12 nations by reducing and/or eliminating tariffs, fostering competition and creating greater opportunities for businesses. TPP will also promote environmental protection practices and enforce laws protecting workers. Realizing the controversial climate surrounding the pending ratification of TPP, Consul General Okaniwa mentioned several aspects of the partnership, including: (1) Japan is the 5th largest overseas market for combined U.S. Goods and Services-valued at $115 Billion; (2)Japan is the 4th largest overseas market for U.S. exports of agricultural and manufactured goods, valued at $67 Billion; (3) Japan is the 2nd largest Foreign Investor in the U.S contributing to 720,000 Jobs with an average wage of $79,000. 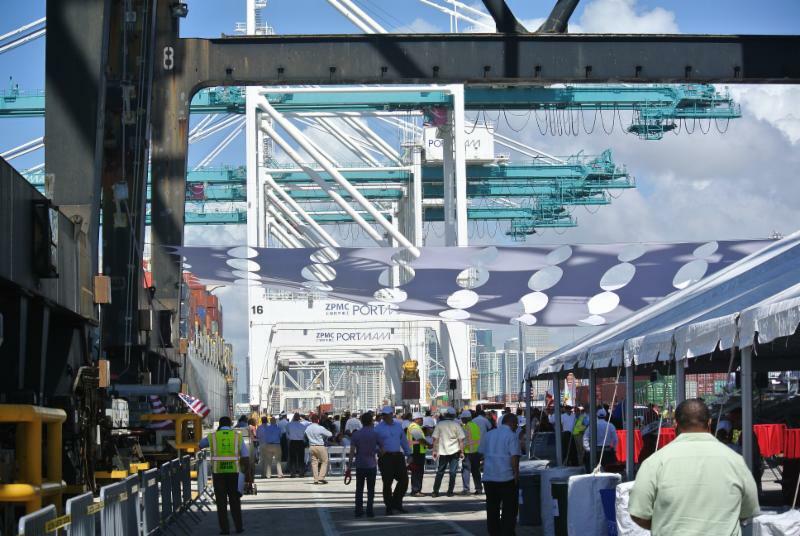 Specifically for Florida, with the recent Panama Canal expansion, TPP is expected to increase cargo traffic substantially benefiting Florida’s Ports, especially PortMiami. Consul General Okaniwa concluded that TPP is the first Trade Agreement directly linking the U.S. and Japan and , as such, a very important way to promote economic growth in both countries. “Invest Insights” speaks to Beacon Council Chair-Elect Jaret Davis, Co-Manging Partner, Greenberg Traurig. I’ve lived in Miami my whole life, except for my college years. For college I went to the University of Florida, and while I received a great education and had some unforgettable years there, I remain to this day a die-hard University of Miami Hurricanes fan. My first involvement with The Beacon Council actually came through employment – I worked in the marketing and communications department for 4 years earlier in my career. This unique opportunity really made me appreciate the tremendous value that The Beacon Council delivers not only to members but to our community. One of the very best things about being actively engaged in The Beacon Council is that you’re able to help move the needle for the continued growth and success of Miami-Dade while also working alongside our community’s top leaders. 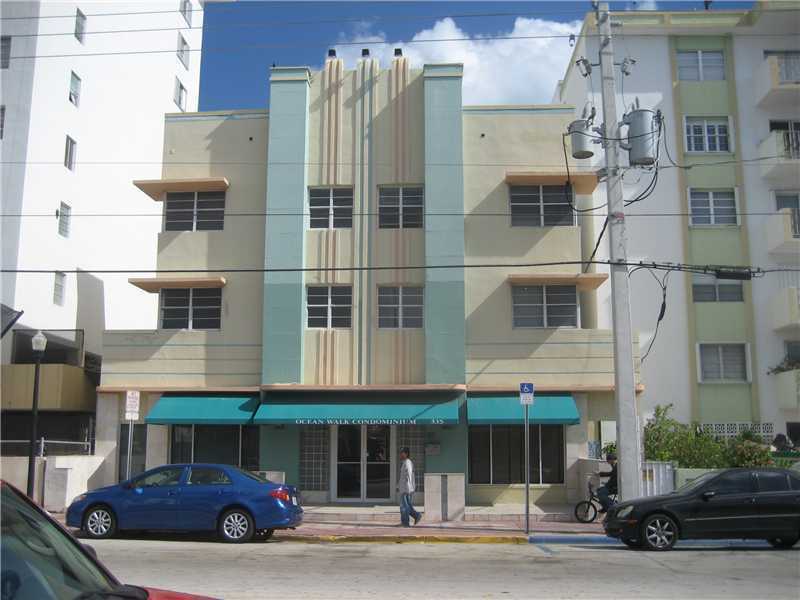 The advantages of doing business in Miami encompass both natural assets and ones that have developed over the last several years. Clearly our geographic location at the cross roads between Latin America, Europe and North America are unique on a global scale. We’ve benefited for decades with robust growth in our trade/logistics and hospitality sectors. This has also impacted the strong growth of other sectors including financial services, media and technology. The assets we’ve developed is a diversity in our population and a corresponding openness to doing business and welcoming newcomers to our community. This collaborative spirit sets us apart from many other business hubs around the world. The technology industry around the world continues to change at a dizzying speed, and it’s impact is being felt in every industry. Whether it’s transportation and logistics or healthcare and education, there is no arguing that technology is disrupting the traditional business models that have existed in the past. Driven by a new innovation economy, Miami has a great opportunity to be at the forefront of these changes and establish itself firmly as the hub for technology in the Americas. There’s always something great to do! No matter how diverse your interests or lifestyle, you can find activities and events that are amazing. We’re able to enjoy everything from world-class arts and culture to our vibrant new neighborhoods that are attracting great businesses. GrowFL has announced the 2016 Florida Companies to Watch finalists. The awards event – now in its sixth year – honors 50 select second-stage companies from throughout the state. The companies are being honored for developing valuable products and services, creating quality jobs, enriching communities, and broadening new industries throughout Florida. More than 600 companies were nominated for this year’s award and the finalists collectively represent $598 million in annual revenue and employ 3,028 full-time employees. Cozen O’Connor, an Am Law 100 firm, announced that it has finalized a deal to add a team of lawyers from Miami-based Feldman Gale, a nationally recognized intellectual property boutique. The lawyers have started working in Cozen O’Connor’s Intellectual Property Department across its Miami, New York and San Francisco offices. 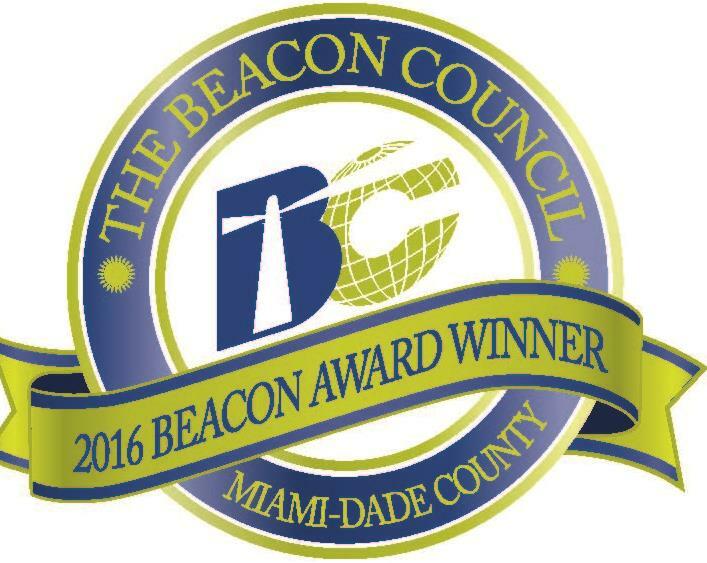 Miami-Dade Beacon Council Members have free access to the publication’s online library. The publication, sold for $129, is a research apparatus showcasing Miami’s current trends and developments, told by top business and civic leaders. LaunchCode receives thousands of applicants every month, from bootcamp graduates to self-taught superstars. They vet the candidates heavily for technical acumen, drive, and soft skills, to find people with the highest passion and aptitude to grow. 90% of businesses who bring on a LaunchCode apprentice go on to offer them a full-time job. Employees who mentor a LaunchCode apprentice report greater job satisfaction and employer commitment. On September 15th and 16th this year in the recently inaugurated EAST hotel in Miami, BNamericas.com will be hosting a Forum with a regional mission. The LATAM LEADERS FORUM: Building a New Road Map for Sustainable Growth will bring together the region’s most influential Business and Public Sector Leaders and Entrepreneurs to SPEAK, CONNECT AND THINK about how to generate sustainable growth for Latin America and the companies doing business in the region. The Beacon Council One Community One Goal strategic plan and community-wide initiative has surpassed its employment goals by 20 percent.